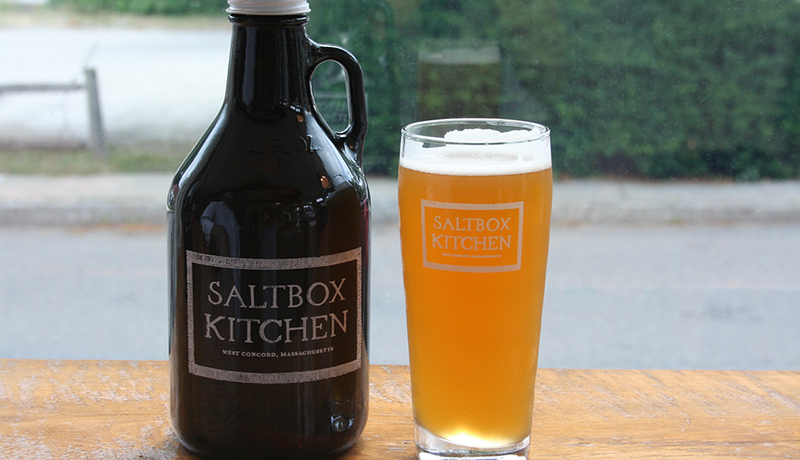 While the farm-to-table concept is now firmly rooted in our day-to-day dining experiences, Chef Ben Elliott’s Saltbox Kitchen café has added a new way to toast living off the land – Saltbox Brewery, a farm-to-glass microbrewery. Opened in July 2016, Concord’s only craft brewery features a rotating selection of beers created by hops and flavorings from fruit and aromatics all grown at Saltbox Farm, Ben’s 10-acre family farm that also supplies produce for the menu at Saltbox Kitchen. 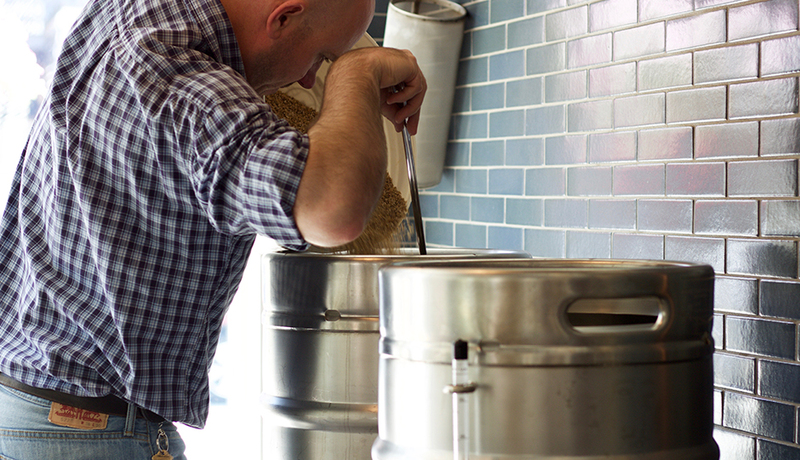 Head brewer Ralph Fiegel develops his recipes by carefully sourcing ingredients and brewing them in small batches to celebrate farm fresh, clean flavors. Already on the map as a Boston magazine’s Best of Boston caterer, Saltbox chef-owner Ben Elliott is no stranger to working alongside nature to create flavorful dishes. Armed with farming know-how (his grandparents started the farm in the ‘40s), Elliott grows garden staples and lesser-known heirloom veggies and raises sheep for meat, chickens for eggs, and bees for honey. 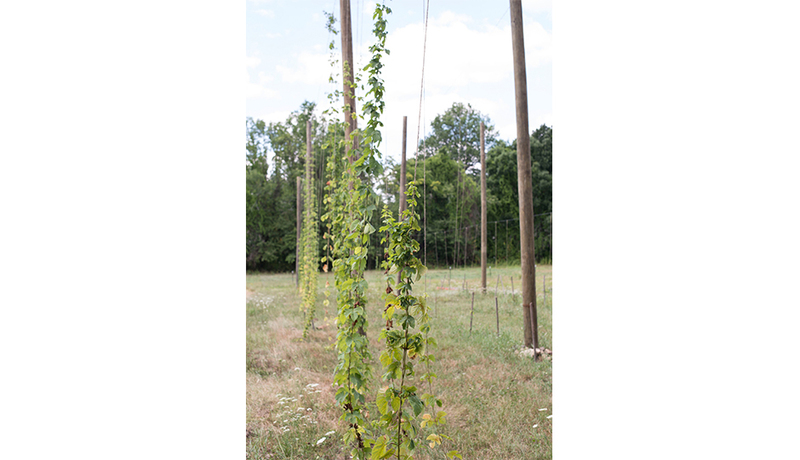 To fully immerse in farm-to-fork, Elliott and Fiegel decided that his farm would also be the perfect place to grow hops. As his dream came to fruition, Fiegel now serves selections to both accompany Elliott and head chef Aran Goldstein’s creations in their café or in take-home 32-ounce growlers. 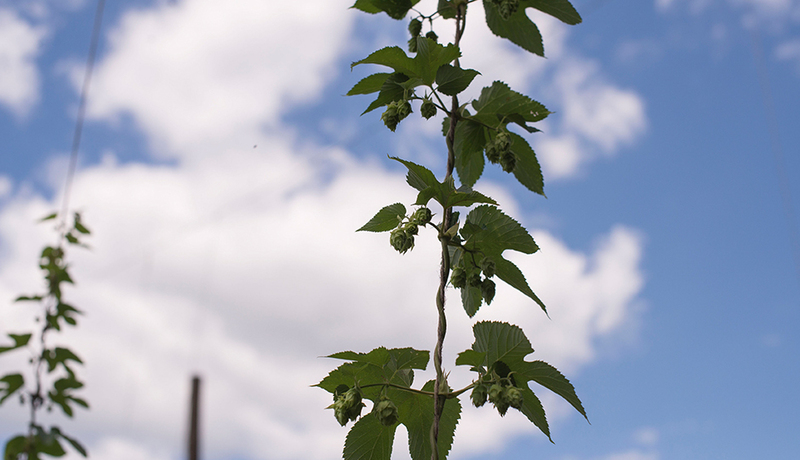 The brewery’s beers range from farmhouse ales to pale ales and IPAs, using many Saltbox Farm ingredients such as grapes, hops, squash, melon, fennel, honey and spices. Currently on-tap is Fiegel’s pride and joy – a golden straw pour of Saltbox Prophecy Farmhouse Ale, a black pepper/citrus saison that recently won the Bronze Medal at the 2016 Great International Beer Festival. The brewery also offers Jean’s Highland Chief Dry Irish Stout, a tasty blend of chocolate, malt, and coffee, as well as the Top Bracket IPA, a juicy tropical fruity brew with a slight hop finish. Fiegel tries out his newest evolutions on the “Experimental Tap,” which will have an ever-changing selection of new brews. To cement the tie back to the farm, all of the beers are named after horses that were once on Saltbox Farm. “The Brewery has become a way to express our culinary values through beverages. 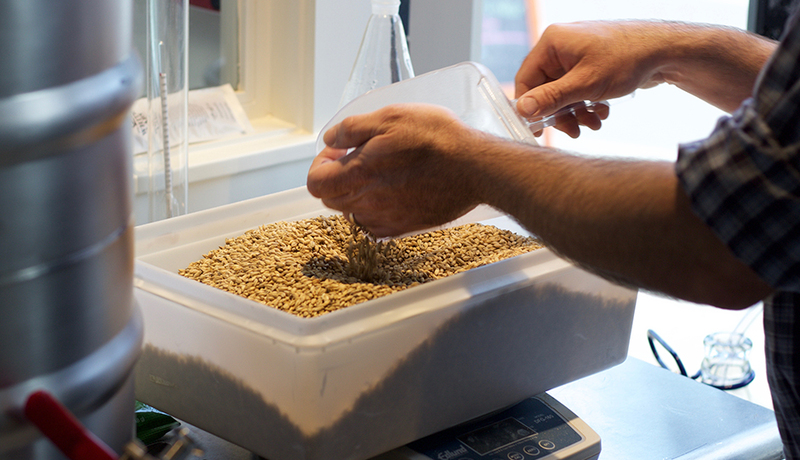 Whether it is using our raspberries, musk melons, hops or spices we grow at the farm, it gives us a chance to find the balance in our beer that ties our excitement of brewing great beer with our passion for cooking.” Ralph Fiegel, Head Brewer at Saltbox Kitchen. They also recently announced the Brewery Insiders Club, a loyalty program that rewards beer lovers for brewery purchases, and also gives exclusive access to a ton of extras – priority access to new releases and beer events, along with one-of-a-kind experiences available only to members. Insiders are in the know with a regular newsletter containing all the latest brewery news, including fermentation and release schedules, ideas for food pairings, and info about beer-themed cooking classes at The Cooking School at Saltbox Farm. The Saltbox café and brewery space was once the town’s Association Hall dating back to the early 1900s. It is only fitting for a place known for community entertainment and gatherings to become a central neighborhood hot spot again. And as with all of their businesses, Saltbox is mindful of their impact on the environment. 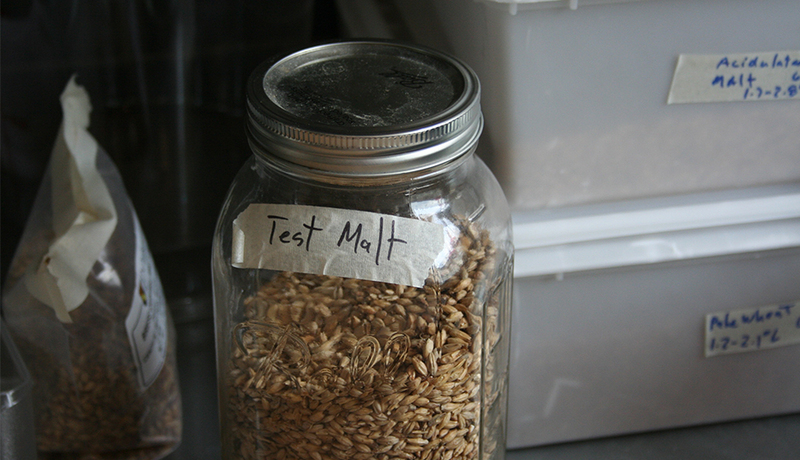 Fiegel plans to use spent grains to feed the sheep at the farm, as well as to explore new ways to use the grains in the bakery for items like granola, breakfast bowls, and brittle. You might say, the sky’s the limit when you’re working with the earth. And that is something to raise a glass to. 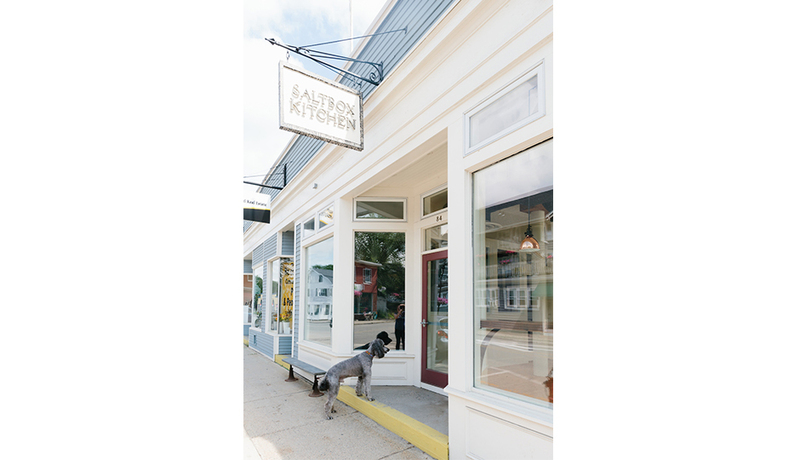 Saltbox Kitchen and Saltbox Brewery are located at 84 Commonwealth Avenue in West Concord.